NEW YORK (Reuters) - BlackRock Inc, the world's biggest asset manager, reported better-than-expected quarterly profits on Friday as it clamped down on expenses and investors stormed into lower-cost funds to take advantage of a year-end rally. Investors poured $88 billion into the company's market-tracking index investments and its iShares exchange-traded funds during the quarter, while pulling $546 million from funds managed actively by portfolio managers, underscoring a stark dichotomy of investors favoring lower-cost, passive investments. "We're the big beneficiary of that change, but we'll be a beneficiary if there's a rebound into active," BlackRock CEO Larry Fink told Reuters. "We have the footprint, we have the breadth of product that clients are looking for." That preference for low-fee funds has come with costs for the asset management industry, while BlackRock's large iShares franchise has helped because of the low cost of accessing the market through many index funds. Investors poured a record $202 billion into its funds last year. But BlackRock, which manages $5.1 trillion, still paid a price for many of its most popular offerings being its lowest cost. Index funds, excluding iShares, account for 38 percent of the firm's assets but only 10 percent of the fees it collects to manage the funds and lend out the shares they hold. While its assets grew 10.8 percent this year, those fees grew just 0.4 percent. Costs aside, the company continued to grow, unlike many rivals. Fund managers who actively pick stocks experienced record withdrawals despite a rally in U.S. stocks sparked by the surprise November presidential election of Donald Trump due to his campaign promises to cut taxes and regulations. Some index-tracking ETFs charge as little as $3 annually for every $10,000 they manage, while the average charged by U.S. stock mutual fund managers is $131, according to data for 2015 from the Investment Company Institute trade group. BlackRock and several of its rivals, including Vanguard Group, cut fees on top products last year. "The fees are also coming into focus as you have this bull market to your back and investors look to pay much lower fees," said Morgan Stanley analyst Michael Cyprys. "The value for money is increasingly coming into focus." 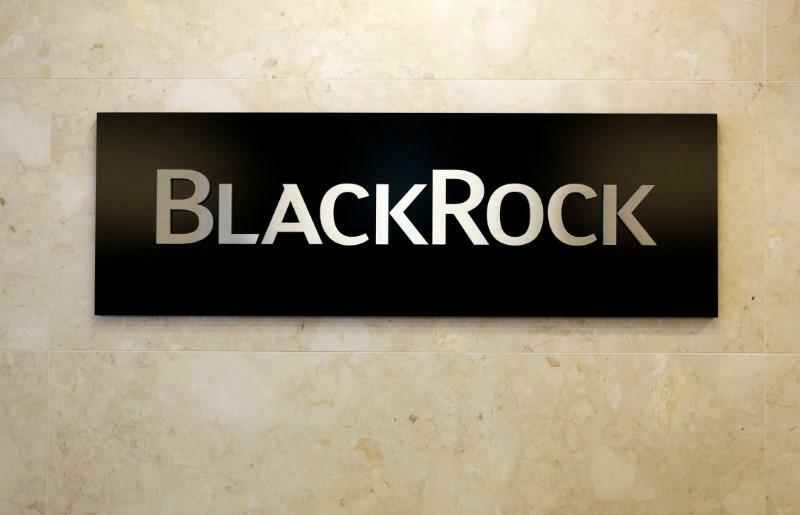 Cyprys said BlackRock's growth rate is "among the best within the industry." BlackRock's stock rose 0.8 percent in afternoon trading. They gained nearly 12 percent last year, while its peers in the Dow Jones U.S. Asset Managers Index gained 8.6 percent. The company also said it is hiking its dividend by 9 percent and ramping up its share buyback program. It also kept a tight lid on expenses, for instance, reducing headcount early in 2016. Total expenses in the quarter fell 3.5 percent. Overall, the New York-based company's net income fell to $851 million in the fourth quarter from $861 million a year earlier. Earnings per share, however, rose to $5.13, from $5.11, as the number of shares outstanding decreased. Yet after adjusting to remove the effect of tax adjustments that it said do not impact the company's cash, earnings were $5.14 per share. Analysts on average had expected earnings of $5.02 per share, according to Thomson Reuters I/B/E/S.